As Smiley's criticism of President Obama's policies has increased, Tavis Smiley has been finding it more difficult to get his political voice and social views heard over radio airwaves, although his PBS TV program seems to be doing just fine. Smiley's not so nice split from the Tom Joyner Morning Show several years has taken it's toll on the clout he was once held in the African American community. He has also seen many public radio stations cancel his Public Radio International talk show and his "Smiley & West" program (with co-host Dr. Cornel West) as well. Now Smiley has turned to the Internet. That Internet source is Blog Talk Radio. As far as content goes, we have found that in the past, BlogTalkRadio.com is a very amateurish product. The problems we found are numerous from poor sound quality to the usage of raw language by the hosts just for the sake of knowing that explicit language is OK on the internet. The number one problem is that BlogTalkRadio basically sounds like you're eavesdropping on two or three people's phone conversation. Why because anyone can get a show on the Internet station. All you need is a phone. There's nothing compelling about that. Perhaps Smiley and the Tavis Smiley Network (with one of several contributors like TV personality Rolonda Watts) can take this platform into a new direction. FROM NEW YORK TIMES - BlogTalkRadio, the seven-year-old Web service that lets anyone host a radio program online, is teaming up with Tavis Smiley, the public television and radio host. Starting Tuesday, Mr. Smiley will anchor a weekday show on BlogTalkRadio, varying from 20 minutes to however long he wants to talk, and produce programs from other contributors under the Tavis Smiley Network. 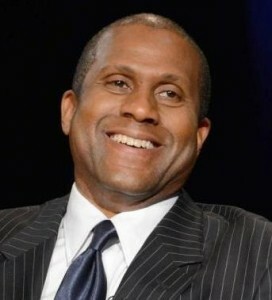 Under the partnership with BlogTalkRadio, Tavis Smiley will serve as anchor and produce programs from contributors. The deal, to be announced Monday, signals a strategic change for BlogTalkRadio as it forms its first partnership with a national media personality and adds branded networks. Mr. Smiley, who expects to drive listeners to the shows through his tens of thousands of Twitter and Facebook followers, will be paid a fee, a first for BlogTalkRadio, said Alan Levy, its co-founder and chief executive, by telephone. 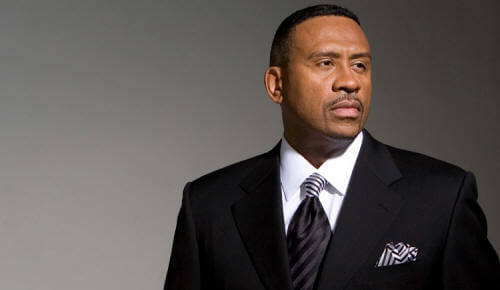 The two will also split any ad revenue, which is BlogTalkRadio’s current model. The service says it has 15,000 registered contributors and attracts 18 million unique monthly visitors who listen 40 million times.